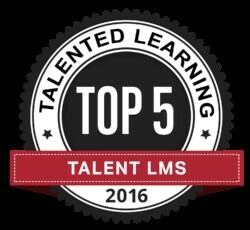 KANSAS CITY, MO--(Marketwired - December 08, 2016) - Talented Learning announced its World's Best LMS (Learning Management System) list and CD2 Learning made the list for the second year in a row, this time as a Top 5 Talent LMS. A Talent LMS supports the entire employee lifecycle, including employee onboarding, skills training, career paths, performance support, leadership development and more. Dena Bartlett, Co-Founder and COO of CD2 Learning responded to the announcement, "This recognition is particularly meaningful because John Leh, the CEO and Lead Analyst of Talented Learning, is an LMS selection consultant that comes from within the industry, tracking innovation and trends for over 20 years. The CD2 Learning team is inspired by this honor and committed to finding solutions for the talent and HCM industry. We would like to congratulate the impressive field of winners in the Top 5 Talent LMS list: Cornerstone, Saba, Sumtotal Systems, and SAP/SuccessFactors." CD2's award-winning talent development solution is designed for people-development in all phases of the employee lifecycle. Learning & Development departments can engage employees from their first day to their last, starting with collaborative onboarding programs that help new employees feel welcome and quickly integrate into their team. Additional training resources can be quickly built and published using the platform's built-in content authoring and course building tools. CD2 Learning is a learning and development system on a single scalable cloud-based platform. Nothing to integrate; built-in authoring tools, gamification, social collaboration, content management, tracking, storage, versioning, reporting - accessible anywhere on any device.